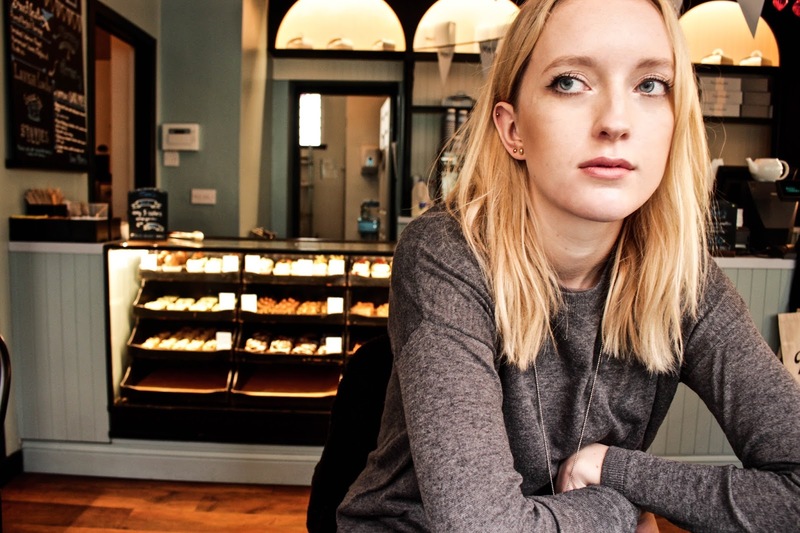 Back in November time we visited Mimi's bakehouse on the famous Royal Mile for a quick bite after a bit of filming for a Uni project. 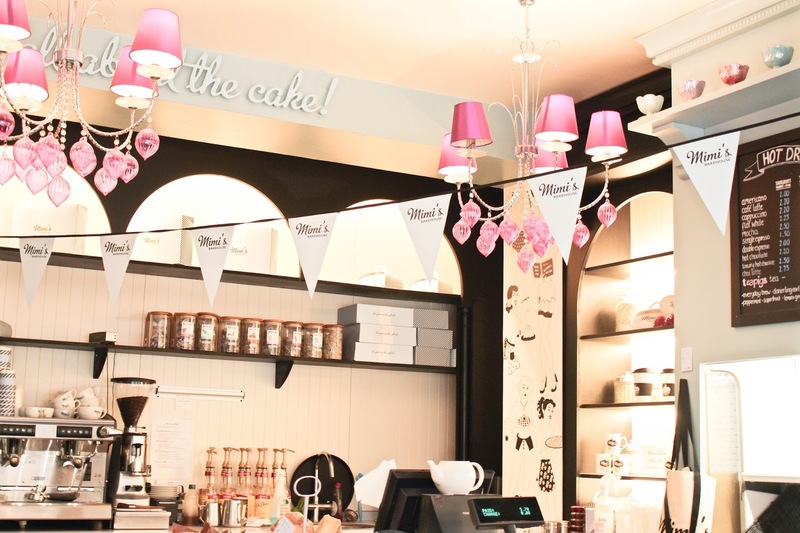 It's a gorgeous Edinburgh exclusive bakehouse full of amazing cupcakes, brownise and tray bakes. 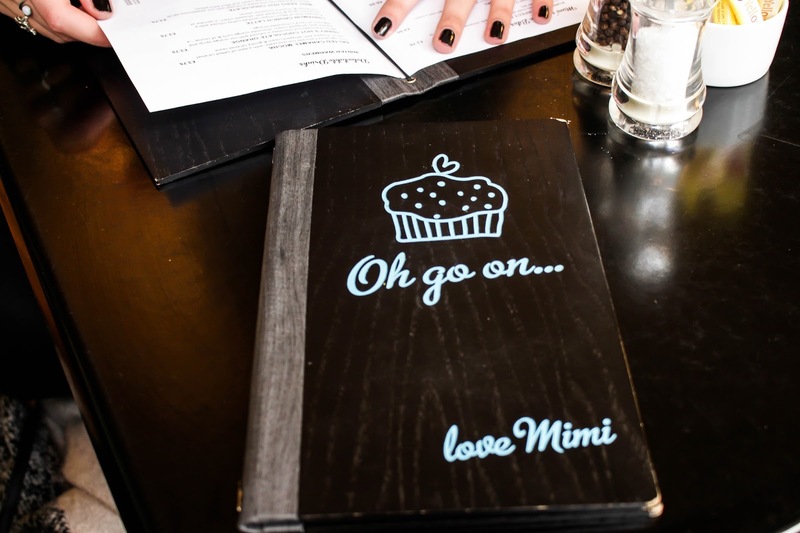 We initially went in for cake but 'accidentally' ended up grabbing a seat and ordering some lunch. 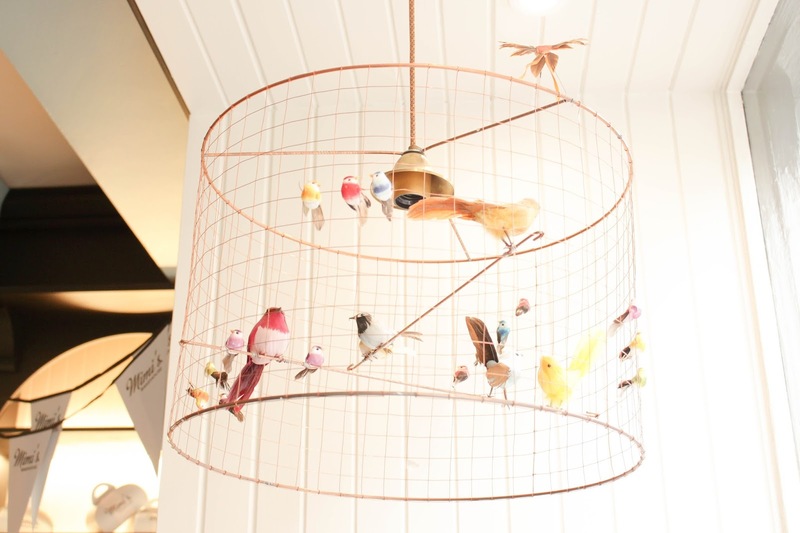 The decor is very pretty; full of bunting, pastel colours and cute one offs that give the place a unique and charming feel. Duck egg blue is featured on all the walls and cabinets which gives the place a soft, feminine touch. 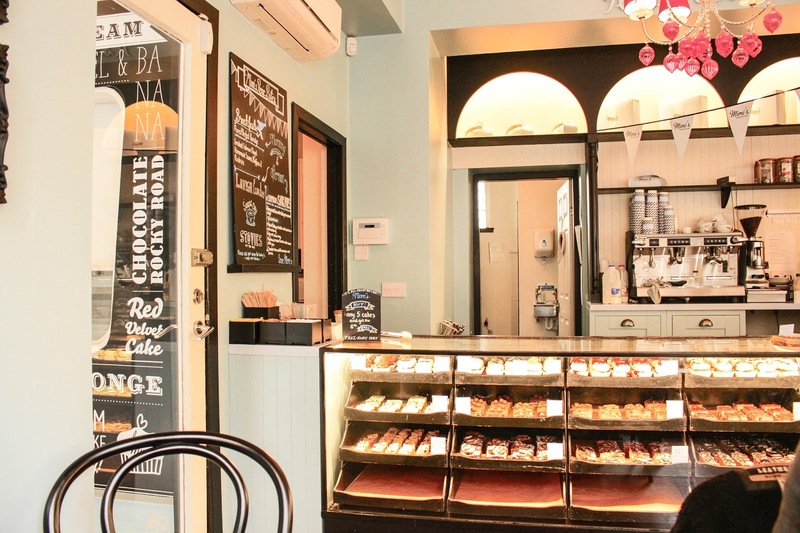 Every detail is cared for even down to the amazing drawings and writing on the menu chalkboards to illustrate the refined but delicious offerings. 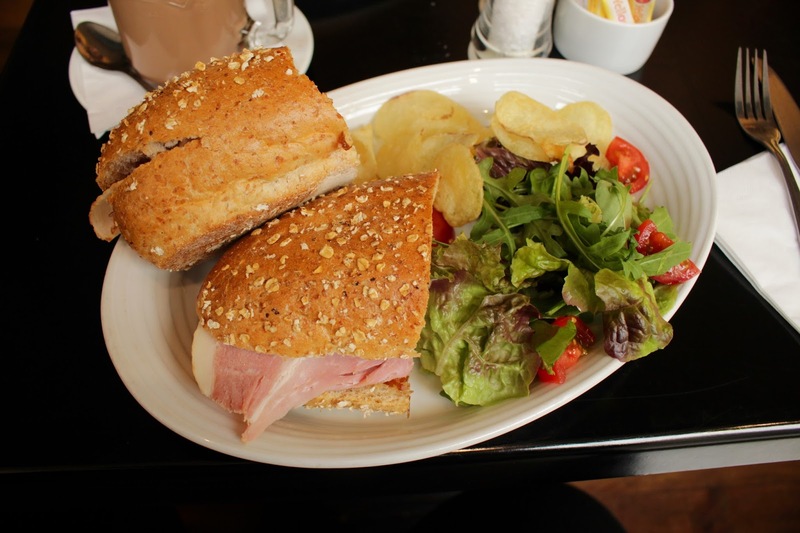 The lunch menu was great-filled with a good choice of sandwiches and soups with bistro feel to the selection. I ordered a filled roll with ham and red onion chutney which was amazing All the ingredients were of really great quality and the roll was delicious. 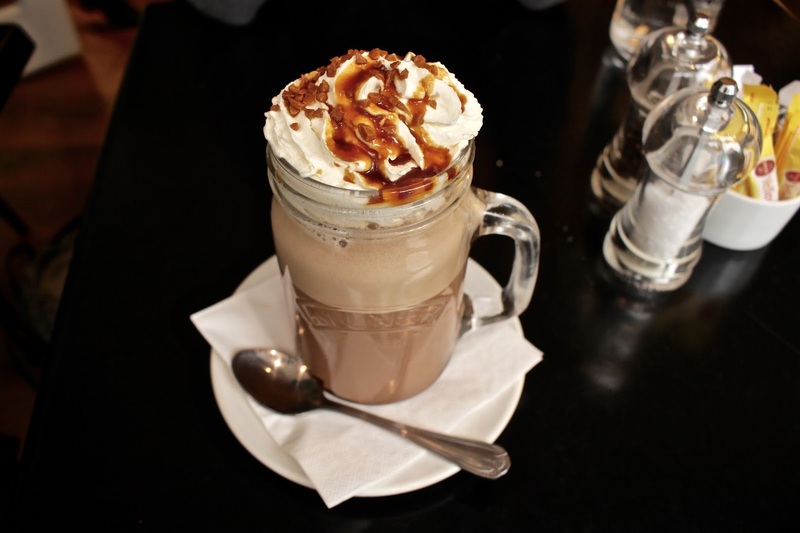 I also indulged in a salted caramel mocha which was just to die for, it had just the right amount of coffee in it and was the perfect choice for an early start on a cold day. 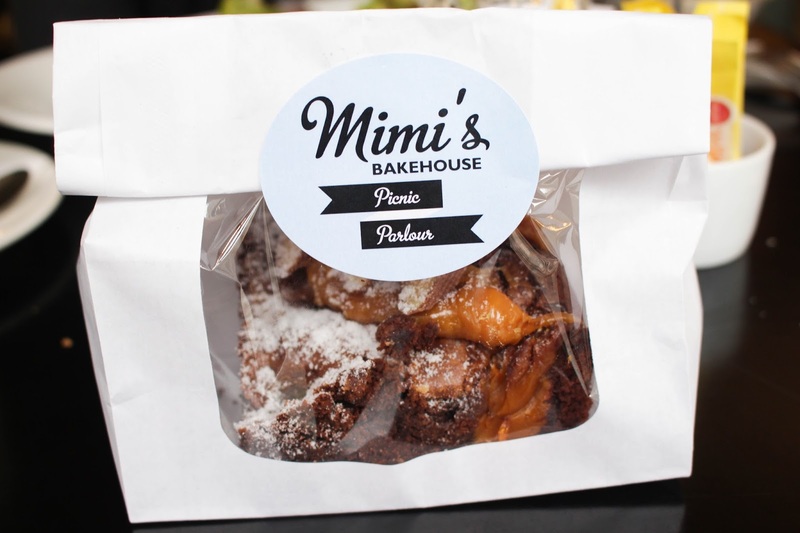 We also decided to sample some of Mimi's famous baked offerings and so, decided to get them to go. I got a salted caramel brownie which was an amazing mid afternoon luxury for me while revising later that day. Nicole got a carrot cupcake which she reported back that the cream cheese icing on top had thoroughly improved the rest of her day at Uni. 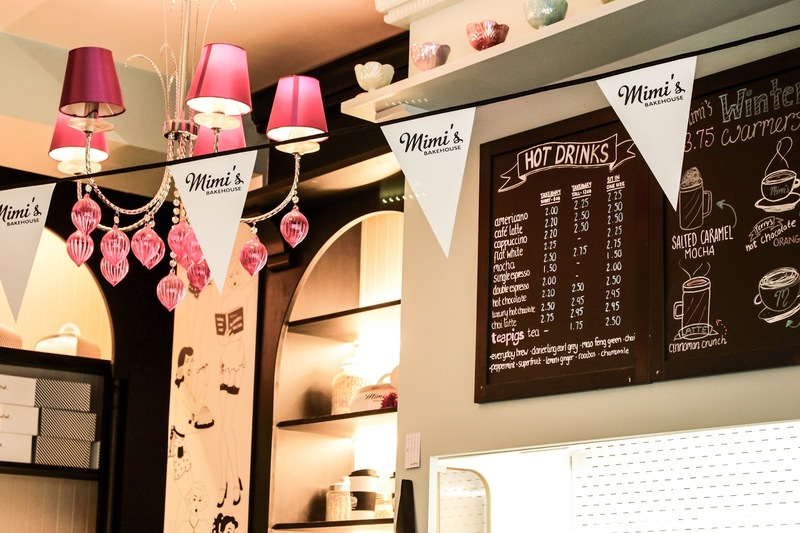 Mimi's is a family run business with three bakehouses across Edinburgh, and also an online bakery. 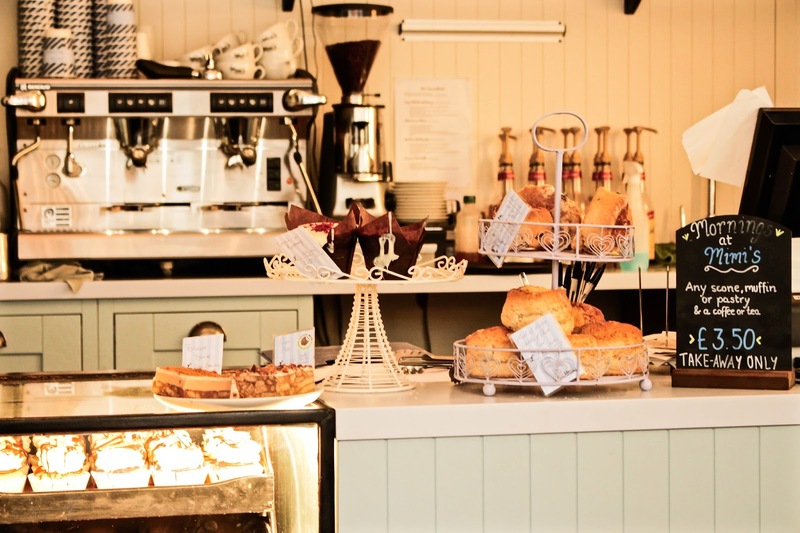 The family run atmosphere runs through all of the bakehouses and give that lovely, homely and warm feeling when you visit. 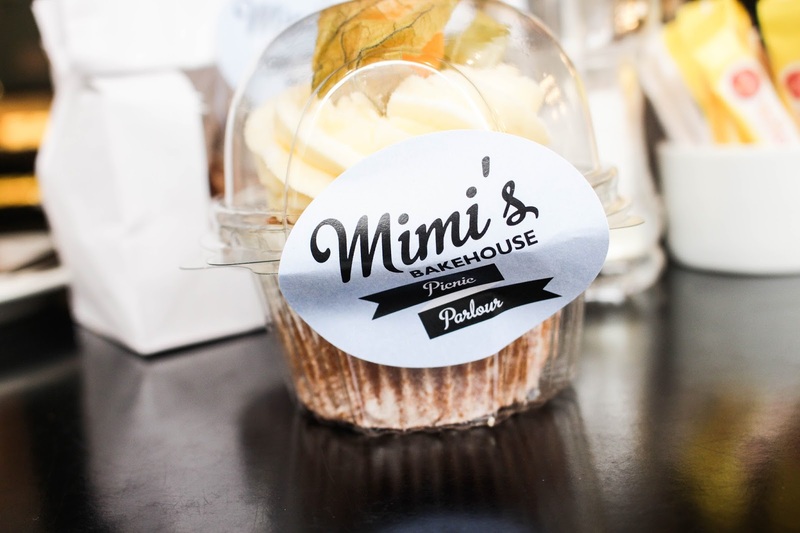 I couldn't recommend Mimi's more for afternoon tea, a lovely lunch or even just a delicious cupcake to take home with you.